An online previewer for Visio is being rolled out to First Release customers. Users will now be easily able to look at processes, floor plans, flow charts and more without having to install any software. 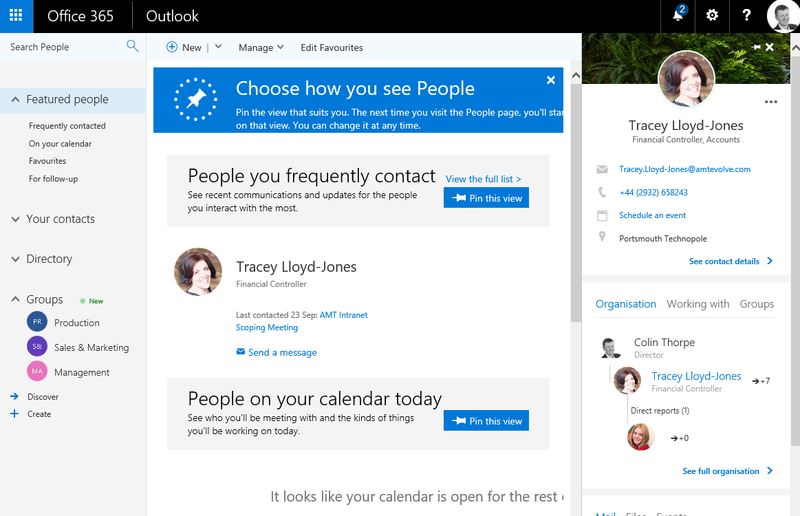 As described in August, Outlook Clutter is being replaced with an improved service called ‘focused inbox’. Rather than moving ‘clutter’ emails into a different folder, they will be tagged. Users will be able to quickly view ‘focussed’ and ‘other’ emails using tabs, and will have more control over what emails a stored in each.This is one of several improvements that have been recently made to Outlook. Click here to read about @mentions. The People menu item (or Contacts as we know it!) has had a facelift. When you click this, you will now get a much richer experience where you will get access to much more than a person’s contact details.Intelligent organisation of your contacts, as well as an information pane that shows the person’s colleagues, emails that you’ve exchanged, recent events and relevant documents, make this feature a much more powerful tool. 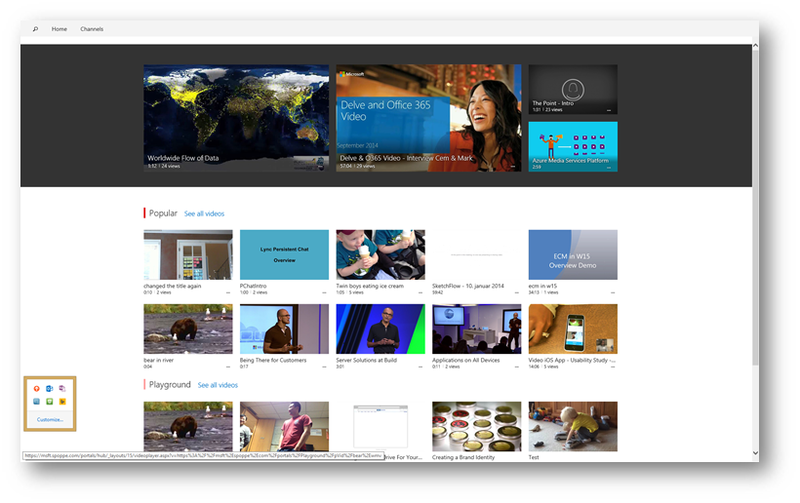 Microsoft Stream is a new video sharing service for business. Office 365 Video has been available for some time now, but Microsoft Stream will enable non-Office 365 organisations to sign up for a fully featured video service.This will give the ability to upload videos and then organise them by using channels, keywords, hashtags and coworker names. Stream will even create a transcript of the audio and save this for searching.Eventually, Office 365 Video and Microsoft Stream will merge into one service.There is no pricing information yet available, but you can sign up to a free preview here. The way that screen-shares are delivered in Skype for Business is being overhauled. The new Video-based Screen Sharing (VbSS) services will make screen sharing faster, more reliable and more in sync. You will not see any changes in how you use this – just a great improvement in quality! You may well have seen the new ‘Modern Document Libraries’ experience. This update is now being applied to lists so these, too, will get a new look and feel.As with libraries, administrators can control whether this is rolled out and manage this per tenancy, site or list.Click here for more information. This setting will be available in Admin -> SharePoint -> Sharing. All Office 365 Groups will soon get a SharePoint Site. This will include a Home Page featuring Quick Links to important resources and a Recent Activity web part. These will use the ‘New Experience’ for lists and libraries, as well as the new ‘modern pages’ page layout. 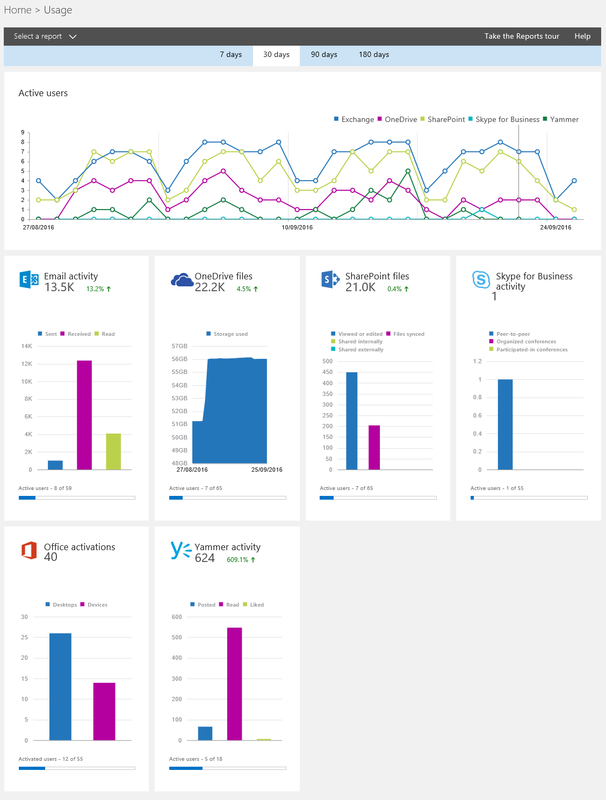 These new reports give a great deal of information about how users are adopting Office 365. Currently, when a file is shared with you, an email is sent to you. You will now be able to receive Push notifications to your phone as well. SharePoint Site Collections maximum capacity has been increased to 25TB of data – up from 1TB. next post: 60 Second Briefing – What is OneDrive?